Our Lady of Solace parish in Coney Island has more than 500 registered families attending Mass weekly under the guidance of its pastor, Father Shiju Chittattukara, S.D.V. The parishioners are continuing to rebuild following devastation caused by Superstorm Sandy in 2012, and are now immersed in Block 3 of the Generations of Faith capital campaign. “Initially, I was happy about the title ‘Generations of Faith.’ I was excited to motivate my present generation of Catholics to sacrifice for past and future generations of Catholics,” Father Shiju shared. The parishioners at Our Lady of Solace “were nervous, considering all they had been through with Sandy.” Being victims of Sandy, “my community was displaced. They had no hot water or electricity for about two months, so all of their basic necessities were gone. The parish collections dropped by close to $100,000 a year at the time and the people that were giving in the past could no longer afford to do so. But, I knew that as a community we were resilient and that we would come out on top, given time,” Father Shiju explained. “Once we began the campaign, people were nervous, but they were willing to listen. I did not put pressure on them but I wanted them to step up to the plate and they did. I told them, ‘Together, we can do it.’ I knew people were going to respond to rebuild their parish. 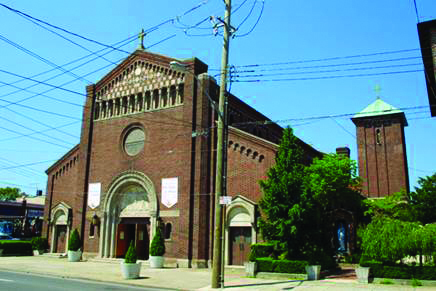 With the funds collected through Generations of Faith, Our Lady of Solace plans to pay off the loan for the renovations made to the church following the damages incurred during the hurricane, resurface the parking lot, conduct maintenance projects on the school building, repair the roof of the church tower, clean the side domes between the altar and install air conditioning. Father Shiju added, “I am excited to hire a youth director, as we have a lot of youth in our religious education program, which truly brings our parish to life.